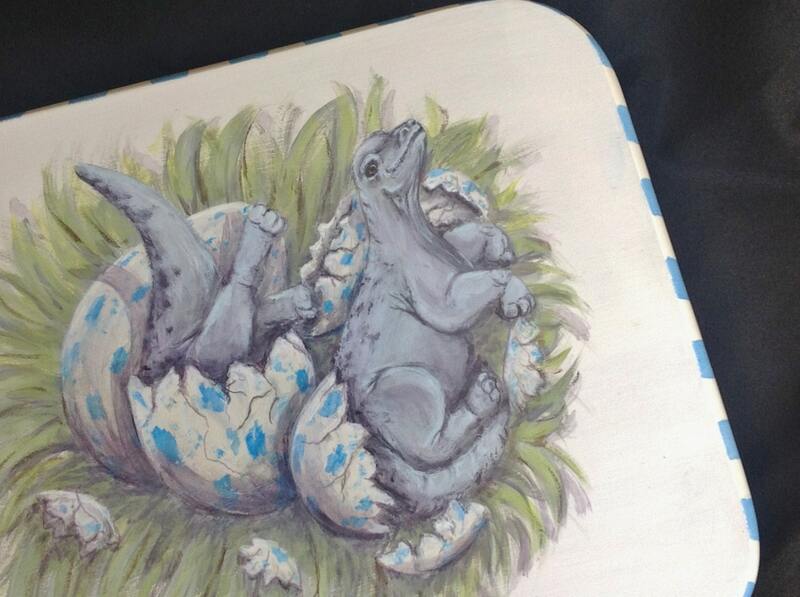 Your little one will be charmed by these baby dinosaurs, newly hatched and cute as Jurassic buttons! 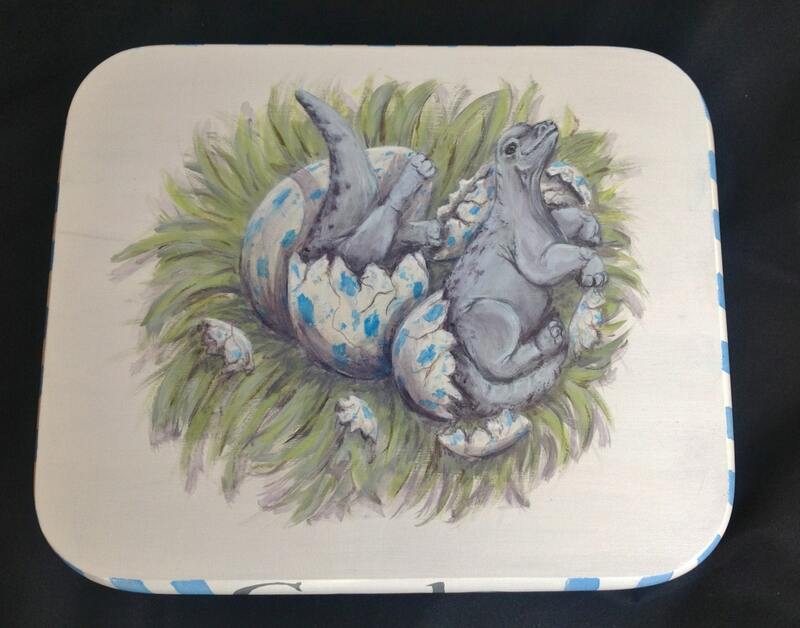 In this new original design, Mama Dino must have stepped away from her grassy nest for just a moment...the exact moment two of her babies decided to bust out of their speckled eggs! One has made it out, and is all smiles and ready to say hello, but his sibling could sure use a little help! 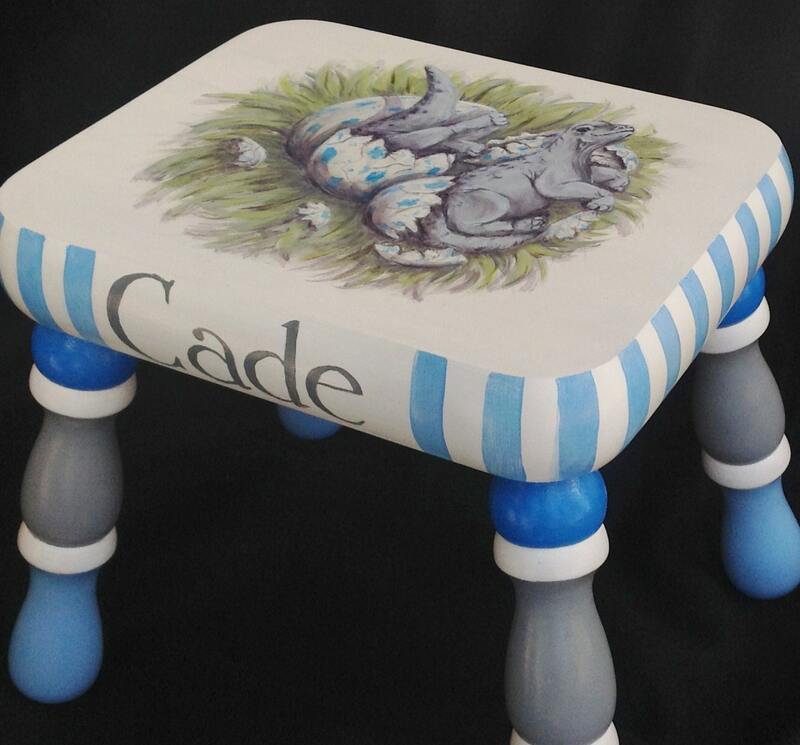 In crisp white, fresh blues and soft gray, this adorable and sturdy footstool will give your child a leg up (and a few new friends) for years to come. 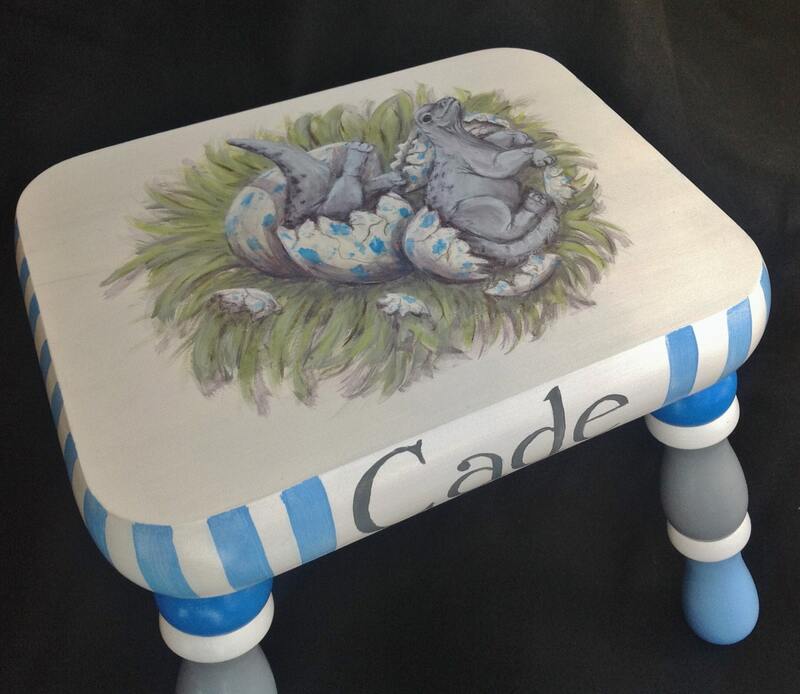 Upon purchase, your child's first name can be hand lettered onto the front edge of the stool at no extra charge! Simply include the name you would like in the notes section at the time of order. 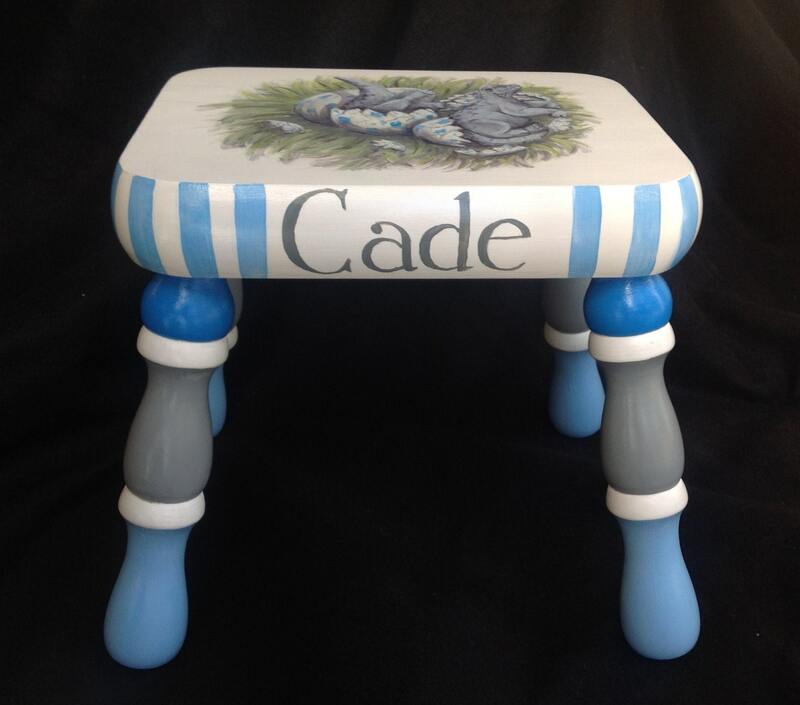 The entire stool will have multiple coats of non-toxic exterior grade sealer, so clean up is as easy as a wipe with a damp cloth. Stool is manufactured by Whittier Wood out of solid alder wood. Dimensions are 13 5/8” (width), 10 5/8” (height), 11 5/8” (depth). Each piece is signed and numbered for authenticity. Please allow 8-10 weeks for completion.